Far North Queensland’s first purpose-built drag strip, Springmount Raceway has announced it will run under the globally-recognised International Hot Rod Association (IHRA) from its official Grand Opening on Saturday, 19 March. Situated at Mareeba, near Cairns, the state of the art facility joins three other world-class venues already on the IHRA’s Australian roster, the Perth Motorplex, Sydney Dragway and Willowbank Raceway, located just outside Ipswich, near Brisbane. Springmount Raceway has also secured the opening round of the 2016/17 400 Thunder Sportsman Series, kicking off its second season in style in the tropics. Springmount Raceway Managing Director Evan Yelavich said the decision to go with the IHRA made sense. “The International Hot Rod Association is a great fit for our new facility, and its status as the second largest sanctioning body in the world was a key factor,” Yelavich said. “We are thrilled to host the 400 Thunder Sportsman Series next season, and I know racers from all over the country will love Springmount Raceway’s picturesque location and our facilities. 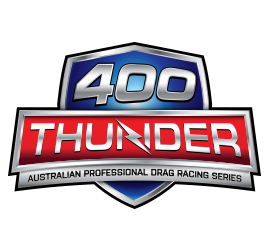 400 Thunder CEO Maurice Allen said the announcement of a fourth world-class quarter mile track running under IHRA sanctioning is demonstration of the sanctioning body and series’ commitment to providing for racers all over Australia. “It’s a momentous occasion for 400 Thunder as it moves to a full national championship and strengthens our network of international standard racetracks that will accommodate both Pro series and Sportsman racers,” Allen said. “The addition of Springmount Raceway is the first step in 400 Thunder’s expansion program, and we’re extremely excited about the future of the series. “Springmount Raceway exceeds the stringent safety requirements put in place by the IHRA, and is truly world class. The 2016/17 400 Thunder Sportsman opener will feature the recently announced Pro Radial Class, along with a host of other brackets, with dates to be announced with the full calendar.